Folded card for several exhibitions at Robert Freidus Gallery, 1978. 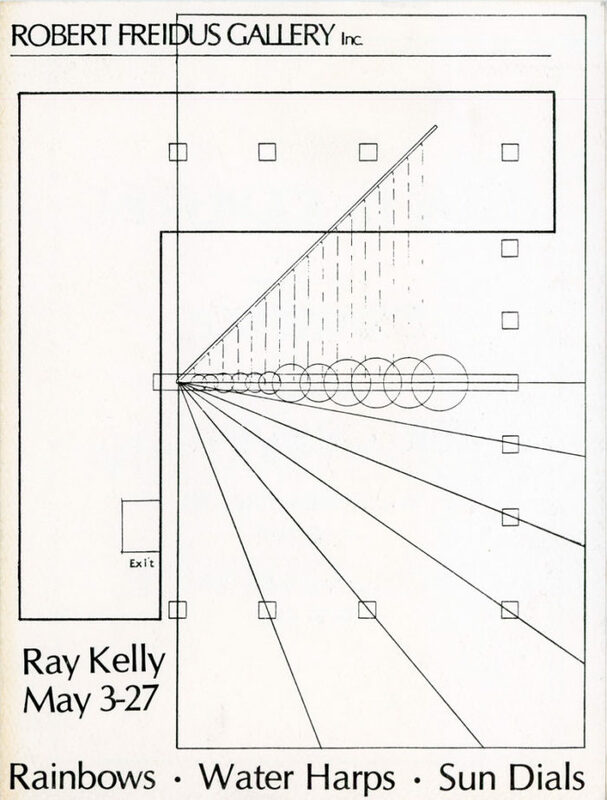 Front of card features an illustration and information for Ray Kelly’s exhibition Rainbows, Water Harps, Sun Dials. 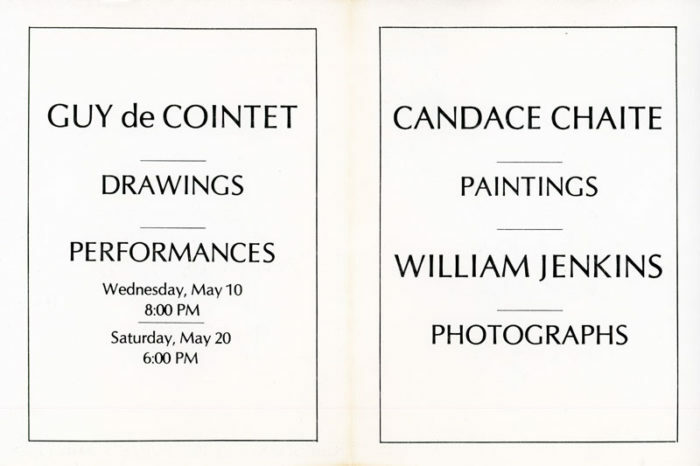 The inside of the card gives information for Guy de Cointet’s Drawings, Candace Chaite’s Painting, and William Jenkins’ Photographs.